Reviews can entice us to try something out of our comfort zone or discourage us from stopping for a bite at a restaurant we would have otherwise considered. Yelp, Google Reviews and other review platforms are not foolproof – we all love a movie out there with a splatty tomato rating, after all – but they serve as a useful guide. Glowing reviews can boost businesses immensely, as is the case with RGP’s Flame Grilled Wraps. The restaurant is hidden from street view inside the Main Mall and relies on online tools to get the word out about their business. But DeKrey has yet to experience the keyboard-clicking wrath of an irritated Yelper who had to wait an extra 15 minutes for a botched order. RGP’s five-star rated business page is full of words like AWESOME and OMG written in all-caps with plenty of exclamation points. A business with bad reviews is like a tented-up, fumigated home. People tend to stay away. Durango Yelper Lyn Pedano said online reviews are important because they save the consumer time and money. 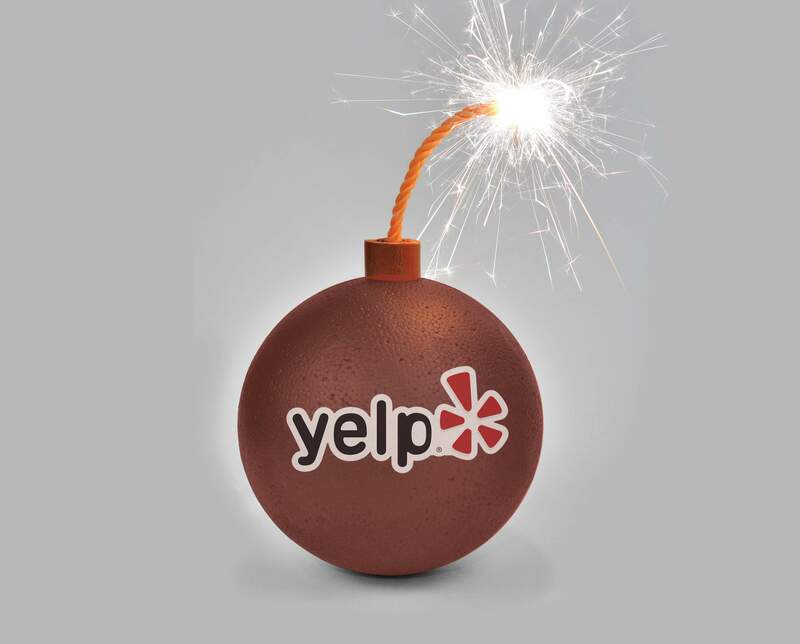 “I go on Yelp all the time before I am going to shop or eat,” Pedano said. Pedano also actively writes Yelp reviews. “I consider myself fair. If you look at my reviews, I am pretty balanced. I don’t get on there just to put a company down,” Pedano said. For her, she considers the food quality, staff attentiveness, cleanliness and atmosphere when writing a critique. Pedano is more likely to write a bad evaluation if she felt mislead or experienced poor customer service. While not an eatery, one of the few one-star reviews Pedano wrote was for the RiteAid in Town Plaza (which has since become a Walgreens) because “the pharmacist (was) a jackass every time I (went) in there.” Pedano said he acted too superior to help with anything that wasn’t pharmacy-related, including helping her find the Pamprin. 2nd [sic] time I ordered the chocolate cherry shredder and there was zippo chocolate in it. I even requested extra chocolate shavings because they changed it from chocolate chips to shavings. If you’re not going to put chocolate in it then don’t call it chocolate cherry. Not cool. The Pine Cone, however, has used negative reviews as a means of self-improvement. The fast-food restaurant is rated an average three stars on Yelp, but the reviews have been improving since 2016. They have a 3.9-star rating on Google. “They let the businesses know where their shortcomings are,” said manager Noah Tamack. Even though the Pine Cone is a fast-food joint, many of the customers complained about the frozen patties. As a response to the critiques, the kitchen shifted its ingredients to fresh hamburger. Along with making improvements, reviews can even solve mysteries. Tamack said while he was working at a restaurant in Texas, reviewers constantly complained about meals with missing bacon. The restaurant owner installed cameras and discovered his chefs were stealing the restaurant’s swine supply. But there are inherent downsides to online reviews, such as imperfect algorithms and pinpointing unreasonable reviewers. “I personally have never written a review for a place, but I’ve never called a manager over to my table either,” Tamack said. He has worked in the restaurant industry for over 16 years, so he has more patience for mishaps then others might have. “Just like anything on the internet, people lie a lot,” Tamack said, but he believes reviews are overall more helpful than not. In other cases, reviews can be damaging to businesses. Barb Martinez is the owner of Kachina Kitchen in Durango. The Yelp reviews for her restaurant range on both sides of the five-star spectrum. She has a poor rating on Yelp but a high rating on Google. “I may think it’s hot outside; the other person may not think it’s hot outside. It’s an individual opinion,” Martinez said. She thinks one disadvantage of the online review process is the uncertainty of who is really behind the criticism or praise. “I do believe there are restaurants that put on good reviews for themselves. And who checks them?” Martinez said. Like Tamack, Martinez thinks they are helpful to a point, but she learns not to take every bad review personally. Anybody with a Twitter account knows it’s much easier to be mean digitally than while looking someone in the eye.